One Stop destination to find all available house and land for sale at Chitwan District. 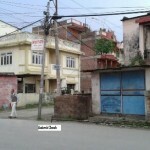 14 Dhur land on highly commercial area with old building is on sale at Bharatpur, Chitwan. The land has 16 ft pitched access road in east and south. It is located just 50 m away from Pokhara bus stand. In Madi Kirtanpur of Chitwan district , 9 kattha and 12 dhur land is available for sale at cheap price. The land is located on main highway road. The land is suitable for both residential and small commercial purposes. Further details are given below in table. 1. 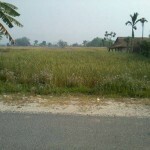 Price of land NPR 5000000 (Negotiable). 9. Suitable For Land is suitable for residential and small business purposes.